SILENT WINGS 2 PWM 92mm. The SilentWings 2 fan family provides the greatest airflow-to-noise ratio and highest reliability on the market. Connector(s) 4p. Other features. Certification CE, WEEE, RU, TÃ¼v. SILENT WINGS 2 PWM 120mm. The SilentWings 2 fan family provides the greatest airflow-to-noise ratio and highest reliability on the market. Connector(s) 4p. Other features. Certification CE, WEEE, RU, TÃ¼v. 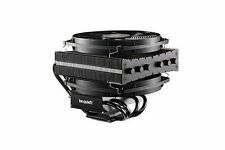 Dark Rock TF BK020 CPU Cooler. No Compromise Silence and Performance. Dark nickel-plated finish with brushed aluminum covers. 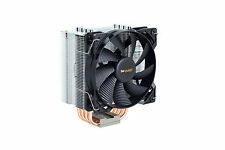 XSPC AX240 Premium Dual 120mm Fan Radiator Black. 2x nickel-plated aluminum heat sinks. Cooler CPU Shadow Rock LP BK002. Instalacja wszystkich komponentów w HTPC lub małej obudowie PC może być kłopotliwa, ale ciche chłodzenie ciasno rozmieszczonych komponentów jest jeszcze większym wyzwaniem. Product code: BW002. AMD Graphics Cards. AMD Motherboards. CPU Coolers. AMD Processors. CPU Liquid Cooler. Supported processor sockets Socket 775, Socket AM2, Socket AM2 , Socket AM3, Socket AM3 , Socket FM1, Socket FM2, Socket FM2 , Socket H (LGA 1156), Socket H2 (LGA 1155), Socket H3 (LGA 1150), Socket LGA 1151, Socket R (LGA 2011-v3). PWM variable speed operation to help balance cooling and quietness. 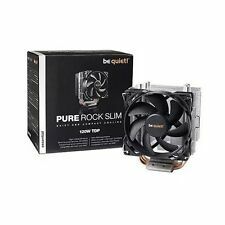 Pure Rock Slim Processor Cooler. Among the features that give it such an excellent price-to-performance ratio are For famous be quiet! Pasta Thermal Grease DC1. Co poza najwyzszej klasy coolerem, który ochroni procesor lub karte graficzna, bedzie idealnym dodatkiem?. DC1: to perfekcyjny wybór, gdy wymagasz najwyzszej wydajnosci transferu ciepla lub wtedy gdy oczekujesz czegos wiecej niz standardowa pasta, która zwykle jest dolaczana do zestawu.BZ001 / KZBQTZA000BZ001. 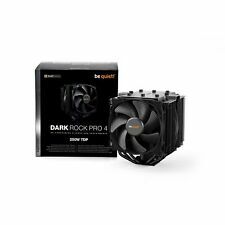 Dark Rock Pro 4 CPU Cooler. - Two Silent Wings PWM fans feature advanced fluid-dynamic bearings and smooth 6-pole motors. 1x Silent Wings 3 120mm PWM. 1x Silent Wings 135mm PWM. - Seven high-performance copper heat pipes provide maximal heat conductance. The Pure Wings 2 140mm fans bring famous be quiet! The most important features include Combining outstanding reliability, quiet operation, and a great price-for-performance ratio, Pure Wings 2 140mm is unique in its class.